Maybank Islamic’s new rent-to-own scheme is fully online and allows potential home owners to rent a property for 12 months before exercising the option to purchase. 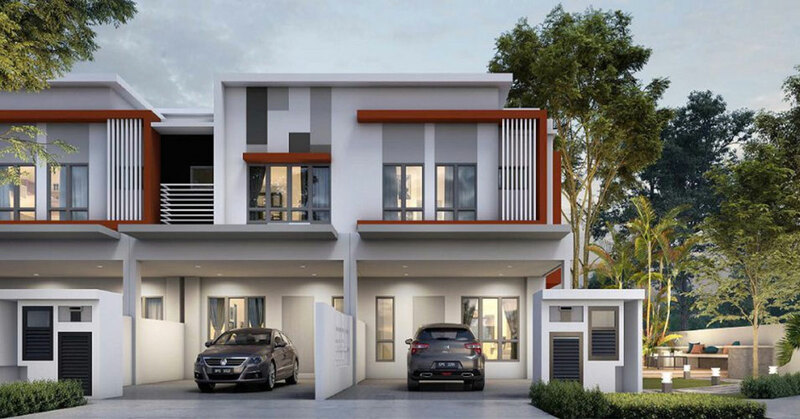 Prospective buyers can apply for the scheme alongside 3 other family members, providing the combined gross income of the 4 applicants exceeds RM5k. Buyers can choose from a host of properties within the Klang Valley from developers such as Mah Sing and UEM Sunrise. In an attempt to make home ownership simpler for Malaysians, Maybank Islamic have finally introduced to the public the country’s first ever fully online rent-to-own scheme. Named HouzKEY, the scheme is targeted towards the 25 to 34-year-old demographic. It will allow potential home owners to only pay a rental deposit of three months before being able to move in to their new homes, with the option to outright purchase their homes after 12 months of rent at a pre-agreed price. “HouzKEY promotes financial inclusion by offering an alternative path to home ownership, and it is also Maybank’s way of supporting Malaysia’s national agenda on home ownership,” he added. For those in the market for a new home, we’ve compiled this list of things you should regarding the HouzKEY scheme. 1. There is a three step process to go through. The HouzKEY scheme aims to simplify house buying by condensing it into a three-step process. Applicants will first pick out a home from properties listed on the website, apply for the scheme online, and then move into their homes once the application is validated. After having rented the property for 12 months, applicants can then opt to purchase the property at a set price. They’re given the the option of moving to a mortgage plan by Maybank or continue to rent the property at a fixed price until the end of a 5-year tenure. If they choose the latter option, they will be able to continue renting the property with a 2% rental step up from the sixth year onwards until their tenure ends. Additionally, the scheme allows rental payments made over time to offset the price of the property, and also lets the tenant pick the option to cash out, which is essentially the chance to earn some cash based on the capital appreciation made on the property, as long as the tenant chooses not to exercise the right to buy it. 2. You don’t have to wait too long to move in. With the HouzKEY scheme, buyers will know within 24 hours whether or not their applications have been approved by Maybank. Following approval, applicants will need to pay the rental deposit within the next seven days. Once this is done, applicants will then be able to move into their new home soon after. Seeing how most affordable housing schemes come with the caveat of making buyers wait in long lines for long durations, this feature will prove to be a welcome change of pace for all future home owners. 3. There are some requirements to fulfil. The HouzKEY program is the first of such home ownership schemes in the country to be made available digitally. Interested buyers will be required to submit their applications and supporting documents online, bypassing the need to submit hardcopy documents. You must be a Malaysian citizen or Permanent Resident of Malaysia. You must be between 18 years or below 65 years at the time of application. Your gross income must be RM5,000 and above. You MUST NOT have more than one (1) home financing/housing loan at the time of application. You are not under blacklist/bankruptcy status. 4. Right now, there are only 12 developers to choose from. Looking through the list of properties on the official website, the HouzKEY scheme currently lists properties from local developers such as Mah Sing, Gamuda, Sime Darby, and SP Setia within locations such as KL, Semenyih, Kajang, Cyberjaya, and Wangsa Maju. Rental prices for properties begin at RM2.3k with upcoming projects touting rentals as low as RM1.6k. In the future, Maybank hope to add more to their list of partnered developers and provide more options to interested buyers. 5. Buyers can apply with up to 3 other people. Applicants will be allowed to apply to the scheme along with three other close family members as guarantors (as long as the combined incomes of all parties exceed RM5k). This especially helps those with gross monthly incomes below RM5k, making the scheme accessible to home-seekers with entry level incomes. They must not have more than one (1) existing home financing/housing loan at the time of your application. The HouzKEY Scheme should get future owners excited. Despite speculation of the local property market doing poorly in 2018, rent-to-own schemes like HouzKEY may see prospective home owners still finding themselves being able to afford their own place to stay much sooner than expected. As it stands there is already another rent-to-own scheme available in Malaysia, and following in the trend, we might just see more financial institutions follow suit. Those interested in the HouzKEY rent-to-own scheme can check out the website for more in-depth information.